Considering all of the collaborations and projects Danger Mouse has attached himself to over the years, it's amazing the producer finishes anything. This year alone he's been promoting the hell out of Broken Bells, his band with Shins leader James Mercer, and been roped in to produce the new U2 record. It's no surprise then to learn that some of his interests get put on the back burner, but it sounds as if his long-gestating Rome record, a collaboration with Italian film composer Daniele Luppi, is finally getting off the ground. An interview with the Guardian reveals that the album, which is heavily inspired by 1960s film soundtracks, has been tinkered with off and on over the last five years but has started to pick up steam with the addition of some high-profile vocalists, including Jack White. 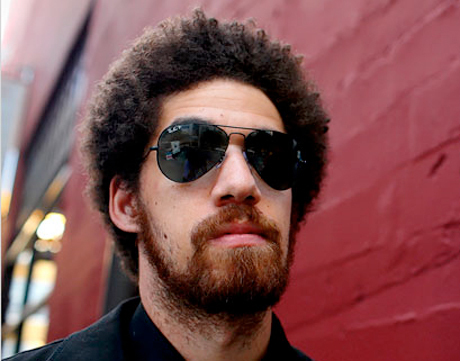 "For the lead vocalists, I definitely wanted a man and a woman," Danger Mouse told the Guardian. "The female vocal needed to be soft, not polarizing. But the male needed to have a bit more angst to it. I played some of the music for Jack White when I was on tour shortly after doing the first session, just to show him what I was doing, because at the time everyone thought I was just a hip-hop guy, or whatever. He liked it, but at the time I wasn't even thinking of using him -- you know, it's Jack White. But in the end, I thought, he's really into it -- why not?" While Danger Mouse decided to go with the similarly multi-project-minded vocalist, who has sung with the White Stripes, the Raconteurs and the Dead Weather, for his male lead, the report explains that cross-over jazz chanteuse Norah Jones provides female vocals. Unfortunately there is no set release date for Rome, but the fact that Danger Mouse is willing to talk about the collection gives us hope that the disc isn't too far off in the future.